Coloring: Shown here with added hand coloring of highlights. Also available in original lithographic colors only. 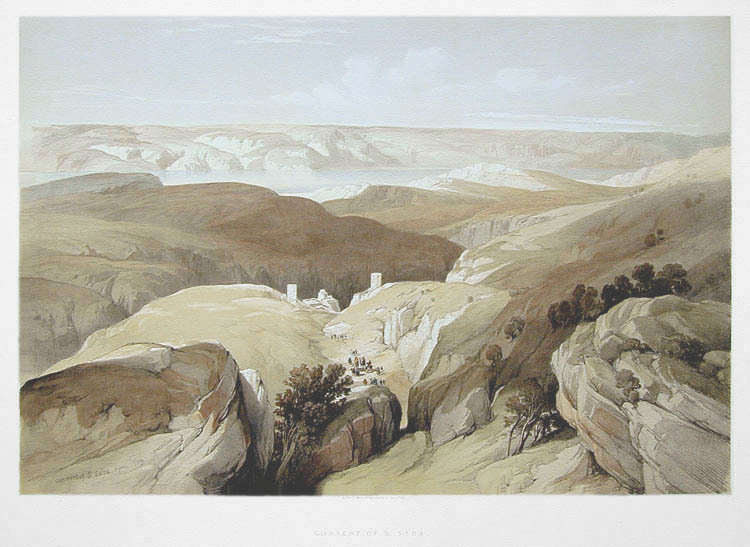 Comments: A full folio lithograph looking east toward the Dead Sea, with the Convent of St. Saba barely visible in the distance. Paper : 16" x 24 1/8"
Image: 13" x 19 1/2 "